Chelsea great John Terry will leave the club at the end of the season, the Premier League leaders announced on Monday. “John Terry and Chelsea Football Club today jointly announce our captain will leave the club at the end of the season,” said a club statement. The 36-year-old former England central defender has made 713 appearances for the west London side, third in the Blues’ all-time list. “I will decide on my future in due course, but for now I am committed to helping the team achieve success this season,” said Terry in a joint statement issued with Chelsea. Terry made his debut in 1998 and has captained Chelsea on a record 578 occasions while also scoring 66 goals. No one has won more than his 14 major honours with the club. “The club and I have always had a fantastic relationship, which will continue beyond my playing days,” he said. “We had some really positive talks but with everything taken into careful consideration I have decided it’s the right time for me to leave. “I’ve always been conscious that I depart at the right time, in the right way, and I feel that the end of this season is the right time for the club and I. “I feel I still have plenty to offer on the pitch but understand that opportunities here at Chelsea will be limited for me. 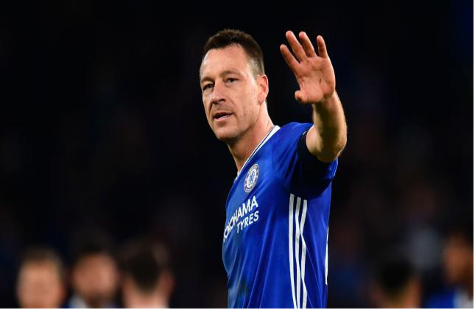 Chelsea director Marina Granovskaia paid tribute to Terry by saying: “He has been an outstanding player, inspirational captain and has always demonstrated an exceptional commitment to the cause. There had been speculation that Terry might leave during the January transfer window, but former Italy manager Conte made it clear he wanted the veteran centre-half to stay for the remainder of the campaign. “This squad needs him,” Conte said at the time. “He’s a great player, but also a great man and for me it’s fantastic to have a person like him to help me in my first season at Chelsea. Terry, however, has not played for Chelsea since their 2-0 FA Cup win over Wolves in February, with his last league appearance back in November. Apart from a brief loan spell at Nottingham Forest, Terry has spent his entire professional career with Chelsea. He was chosen as the Professional Footballers’ Association Player of the Year in 2005 and won 78 England caps before retiring from international duty. But the end of his international career was overshadowed by allegations he racially abused Anton Ferdinand, the younger brother of his England centre-back partner Rio Ferdinand, while playing for Chelsea against Queens Park Rangers in 2011. After being stripped of the England captaincy, Terry was cleared of racially abusing Anton Ferdinand in a London court in July 2012. But two weeks later he was charged by the Football Association and he subsequently retired from England duty before the start of an FA hearing that saw him banned for four games.